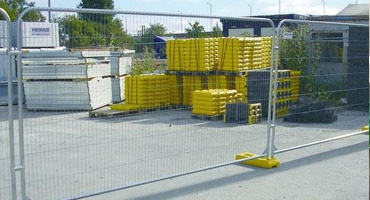 Our painted double leaf vehicle site gates and single leaf pedestrian site gates are fabricated from SHS steel and clad with 200 x 50 x 5mm weldmesh. 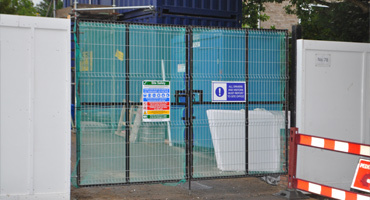 The mesh option provides good visibility at the site entrance or alternatively we can clad the gate leafs with Ply and paint in accordance with the clients requirements. 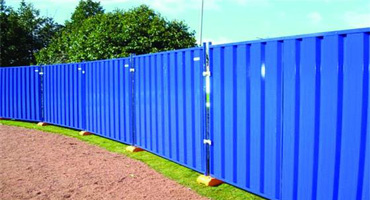 We hold a range of sizes in stock giving you the opportunity to secure your site quickly. 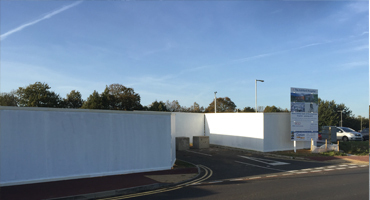 Finish – Steelwork painted black prior to leaving our works.